BYD Auto sold a total of 506,189 passenger cars in China in 2013, making it the tenth-largest selling brand and the largest selling Chinese brand. In 2015, BYD Auto became the best selling global electric vehicle brand, ahead of General Motors and Nissan. During the first three quarters of 2016, BYD remained the world's top selling plug-in electric car manufacturer, followed by Tesla Motors. In October 2016, BYD Auto became the all-time second largest global plug-in car manufacturer after the Renault-Nissan Alliance. Some of its first all-electric vehicles were offered via fleet sales to government buyers in China. The BYD Qin plug-in hybrid, launched in the Chinese market in December 2013, ranked as the top selling plug-in electric car in China in 2014. The car also ranked seventh among the world's top 10 best selling plug-in cars in 2014. In 2015, the Qin remained as the top selling passenger new energy vehicle in China. The BYD Qin was the world's second best selling plug-in hybrid car in 2015 and also ranked fifth in 2015 among the world's top selling plug-in electric cars. During the first nine months of 2016 the BYD Tang plug-in hybrid SUV ranked as the top selling plug-in electric car in China. As of September 2016, the BYD Qin, with 65,178 units sold since its inception, remains the all-time top selling plug-in electric car in the country. BYD ended 2015 as the world's top selling manufacturer of highway legal light-duty plug-in electric vehicles, with 61,772 passenger vehicles sold, mostly plug-in hybrids. BYD Auto was followed by Tesla Motors with 50,580 units sold in 2015. Accounting for heavy-duty vehicles, BYD total sales rises to 69,222 units. During the first three quarters of 2016, BYD continued as the world's top selling plug-in car manufacturer with over 74,000 units sold, and again, followed by Tesla with over 54,000 units delivered. BYD net profits jumped 552.6% in 2015 to a total of 2.829 billion rmb. Sales of new energy vehicles were the main driver for BYD’s huge profit increase, with alternative energy vehicles accounting for half of BYD's profits while the same share in 2014 was just 27%. Samsung Electronics invested $450 million in BYD in 2016. In September 2016, BYD Auto surpassed Mitsubishi Motors as the third largest global plug-in car manufacturer with cumulative sales of 161,000 plug-in cars since 2008, ranking behind Tesla Motors (164,000) and the Renault-Nissan Alliance (almost 369,000). In October 2016, BYD passed Tesla Motors to become the world's second largest plug-in electric passenger car manufacturer with more than 171,000 units delivered in China. 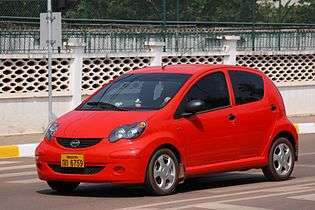 BYD Auto has a wide range of small and medium-sized cars, including small compacts, people carriers, and small sedans. Hybrid electric vehicles and all-electric models are also among its products. Non-Chinese auto part makers BYD is associated with include Autoliv and BorgWarner. BYD Company Ltd. and the Beijing Environmental Sanitation Engineering Group have launched a pure electric sanitation truck lineup with a total of 26 models to serve the city’s administration. The trucks, which have load capacities ranging from 1 to 32 tons, will be used for street sweeping, garbage collection, and sprinkling. They will collect, compress, and transport waste, and can provide refrigerated transportation for hazardous waste. Production bases include two production bases in Xi'an, an R&D center and production base in Shenzhen (the headquarters of parent BYD COMPANY LIMITED), production bases in Changsha and Shaoguan, and an R&D center and parts plant in Shanghai. In 2010, the Chinese state halted construction of a third Xi'an production base. Building was allowed to resume in Spring, 2011. BYD F3 models are assembled in Russia by the company TagAZ, and in Ethiopia by Betret International Plc (assembling 1000 annually). 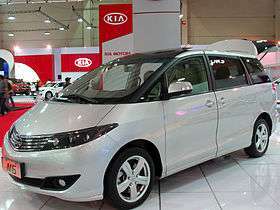 In Iraq the "scai" company (state-owned company) start producing some BYD models since 2009. A production base in Dalian, Liaoning province, for K9 electric buses began operation in late 2014. 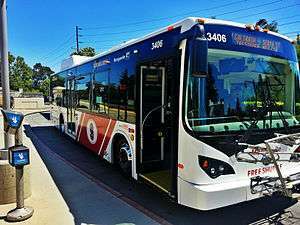 BYD opened a North American electric bus manufacturing plant in Lancaster, California in May 2013. A joint venture with Daimler AG that will soon sell a single product under the Denza brand name, Shenzhen BYD Daimler New Technology Co is focused on EV development and upmarket sedans. In March 2011 the new company received a business license from the Chinese State and BYD, contractual agreement from its German partner. Its first product likely based on a previous generation Mercedes-Benz B-Class, production is scheduled to begin in 2013. As of 2010, BYD Auto had an estimated production capacity of 700,000 units per annum. In the same year, BYD Auto sold a total of 519,800 vehicles, making the company the sixth largest Chinese car-maker by units sold, in 2011 it failed to break into the top ten. The company returned to the rankings in 2012, however, garnering 9th place by producing over 600,000 vehicles. 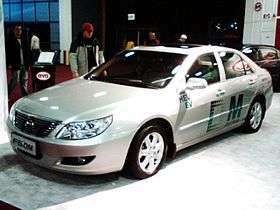 While the majority of sales are domestic, some models are exported to other developing countries: BYD cars are sold in Bahrain by Fakhro Motors, distributed in the Dominican Republic by Peravia Motors (3,000 cars serve as taxis in the capital, Santo Domingo). BYDs are also offered in Ukraine and Moldova. The company has also expressed a desire to enter the European, Iranian and Israeli markets. BYD opened its Iranian branch under the name Karmania in 2016. BYD also opened its North American headquarters in Los Angeles in 2011, and BYD planned to start selling an electric car, the e6, there in 2012, but this has been subsequently delayed. 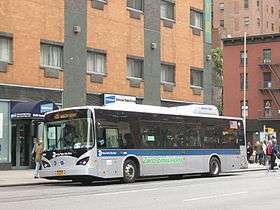 As of 2013 BYD Auto sells the e6 and Electric Bus in the United States as fleet vehicles only. ↑ "2012 Annual Results Announcement" (PDF). BYD Company Limited. Retrieved 21 February 2014. ↑ "BYD Contacts". BYD Auto. ↑ "About BYD". BYD Auto. Archived from the original on 2012-02-11. ↑ Anne C. Lee (2010-02-17). "Most Innovative Companies - 2010: BYD". Fast Company. Archived from the original on 2012-02-17. ↑ "2013 Passenger Vehicle Sales by Brand". China Auto Web. 15 January 2014. Retrieved 22 February 2014. ↑ McDonald, Joe (Sep 12, 2016). "China's electric vehicle industry shaken by scandal". AP. Retrieved 4 November 2016. 1 2 Jose, Pontes (2016-10-31). "World Top 10 September 2016". EVSales.com. Retrieved 2016-11-02. 1 2 Liu Wanxiang (2016-11-10). "乘联会：10月新能源乘用车销售3.1万辆 插电式车型环比下降44%" [By the Automobile Association: October new energy passenger car sales were 31,000, plug-in hybrids were down 44%] (in Chinese). D1EV.com. Retrieved 2016-11-11. Sales of new energy passenger cars totaled 30,989 units in October 2016, consisting of 26,811 all-electric cars and 4,178 plug-in hybrids. BYD Auto sold 10,395 units consisting of 7,328 all-electric cars and 3,067 plug-in hybrids. A total of 3,118 e6s, 2,124 Qin EV300s, 1,943 e5s, 1,538 Qins and 1,529 Tangs were sold in October 2016. ↑ "Company Profile". BYD Auto. ↑ Crystal Chang (2009-08-13). "Developmental Strategies in a Global Economy: The Unexpected Emergence of China's Independent Auto Industry". p. 13. ↑ Wan-Wen Chu (2011-04-05). "How the Chinese government promoted a global automobile industry" (PDF). Industrial and Corporate Change. ↑ Crystal Chang (2010-04-07). "The Emergence of the Independent Chinese Auto Industry". Political Science Department, UC Berkley. ↑ Scott Doggett (2010-03-23). "BYD Auto to Offer F3DM Plug-in Hybrid to Chinese Individuals Starting Next Week". AutoObserver. 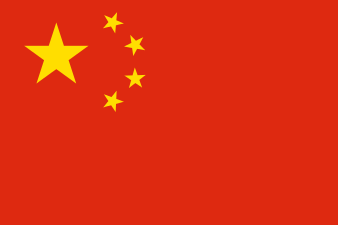 ↑ For China's oil subsidy, see Wei Gu (2008-06-04). "China's fuel subsidy costs the world". Reuters. For EV opportunities eyed by Chinese firms, see Stephen W. Dyer (2011-01-03). "Big bet on better battery-run cars". China Daily. ↑ Chris Oliver (2008-10-09). "Warren Buffett looks to electric car in BYD stake". MarketWatch. ↑ Antony Marceles (2010-01-20). "2009 Chinese Auto Sales". Nitrobahn. ↑ "BYD aims to double car sales again in 2010". BYD Auto. Archived from the original on 2011-01-13. Retrieved 2010-11-02. ↑ Marc Gunther (2009-04-13). "Why Warren Buffett is investing in electric car company BYD". CNNMoney. Archived from the original on 2009-04-27. ↑ Ma, Nan (6 September 2012). "Pure EV lured by wealthy Chinese markets". The Morning Whistle. Retrieved 2 April 2013. ↑ Staff (2015-01-14). "2014 EV Sales Ranking". China Auto Web. Retrieved 2015-01-17. ↑ Staff (2016-01-14). "Sales Ranking of China-made Pure-electric Cars in 2015". China Auto Web. Retrieved 2016-02-10. A total of 16,736 Kandi EVs, 16,488 BAIC E-Series EVs, and 15,467 Zotye Z100 EVs were sold in China in 2015. 1 2 Cobb, Jeff (2016-01-12). "Tesla Model S Was World's Best-Selling Plug-in Car in 2015". HybridCars.com. Retrieved 2016-01-23. The Tesla Model S was the top selling plug-in electric car in 2015 (50,366), followed by the Nissan Leaf (about 43,000), the Mitsubishi Outlander P-HEV (about 39,000), the BYD Qin (31,898) and the BMW i3 (24,057). 1 2 Cobb, Jeff (2016-10-17). "China Now Ties US For Leadership In Cumulative Global Plug-In Sales". HybridCars.com. Retrieved 2016-10-17. ↑ Wang, Joey. "BYD to open passenger car Factory in Brazil". CarNewsChina.com. CarNewsChina. Retrieved 8 March 2015. ↑ John Voelcker (2016-01-15). "Who Sold The Most Plug-In Electric Cars In 2015? (It's Not Tesla Or Nissan)". Green Car Reports. Retrieved 2016-01-17. 1 2 Natasha Li (2016-03-04). "Alternative Energy Vehicles Account HALF of BYD's Profits for the Very First Time in 2015". Gasgoo Automotive News. Archived from the original on 2016-03-08. Retrieved 2016-03-07. BYD Auto delivered 69,222 new energy vehicles in China in 2015, including buses, of which, a total of 61,722 were passenger vehicles, mostly plug-in hybrids, led by the Qin and Tang. ↑ "Samsung Electronics buys $450 million stake in Chinese electric car firm BYD". 2016-07-21. Retrieved 2016-07-21. ↑ "Autoliv Builds New Plant in China". Autoliv Inc. 2003-11-21. Archived from the original on 2008-11-15. ↑ Carmen Lee (2011-11-16). "As official announcement on new energy vehicles is made, BYD's sees stock price jump". Gasgoo. Archived from the original on 2011-11-22. ↑ "BYD F3DM Plug-in Hybrid Goes On Sale in China". Green Car Congress. 2008-12-15. Retrieved 2009-02-28. ↑ Snyder, John B. (2016-04-04). "BYD launches 2 new EVs, predicts sales will nearly triple". Autoblog.com. Retrieved 2016-04-09. ↑ "BYD L3 going on sale in Laos". BYD Auto. 28 January 2013. Retrieved 7 March 2013. 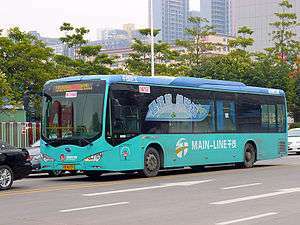 1 2 3 4 5 6 7 8 9 10 "BYD Claims Production of 10,000th Pure Electric Bus-news-www.chinabuses.org". www.chinabuses.org. Retrieved 2016-10-30. ↑ "BYD Auto, Build Your Dreams!". bydeurope.com. Retrieved 2016-10-30. ↑ "While Tesla Tackles Cars, BYD Attacks Diesel Emissions With New Truck Line". CleanTechnica. 2016-05-03. Retrieved 2016-10-30. 1 2 3 4 "TRUCK – BYD USA". www.byd.com. Retrieved 2016-10-30. ↑ "BYD, Beijing Sanitation Group Launch Electric Trucks". Retrieved 2016-10-30. 1 2 Norihiko Shirouzu (2010-10-14). "Beijing Halts Construction of BYD Auto Plant". The Wall Street Journal. ↑ "BYD fined, buildings confiscated". Global Times. 2010-10-14. "MLR supervises BYD's illegal Xi'an project". Global Times. 2010-12-08. "BYD backs away from 'dream'". Global Times. 2010-08-27. ↑ "BYD says to restart construction of China Xi'an plants". Reuters. 2011-04-05. ↑ "BYD ties up to assemble cars in Russia". Shanghai Daily. 2010-12-08. ↑ 港媒：比亚迪纯电动巴士大连下线 电池项目已正式启动. 凤凰财经 (in Chinese). Retrieved 29 December 2014. ↑ Shahan, Zachary (2003-05-06). "Two BYD Manufacturing Facilities Launched In Lancaster". EV Obsession. Retrieved 2016-02-10. ↑ "Daimler, BYD hope luxury Denza will spark China e-car sales". reuters.com. Thompson Reuters. May 17, 2012. Retrieved November 23, 2012. ↑ "BYD and Daimler in EV Joint Venture". ChinaAutoWeb. 2010-05-27. ↑ "Joint Venture between BYD and Daimler Receives Business License". BYD Auto. 2011-03-01. Archived from the original on July 8, 2011. ↑ Steitz, Christoph (Mar 24, 2012). "Daimler to present electric car for China-magazine". reuters.com. Thompson Reuters. Retrieved November 23, 2012. ↑ Siu, Twinnie (Jul 16, 2012). "PRESS DIGEST - Hong Kong - July 17". reuters.com. Thompson Reuters. Retrieved November 23, 2012. ↑ Bertel Schmitt (2011-01-19). "China Car Market 101: Who Makes All Those 18 Million Cars?". The Truth About Cars. ↑ 2011年前十家乘用车生产企业销量排名. China Association of Automobile Manufacturers (CAAM). 2012-01-20. ↑ "2012年12月分车型前十家生产企业销量排名". China Association of Automobile Manufacturers (CAAM). 14 January 2013. Archived from the original on January 15, 2013. Retrieved January 15, 2013. ↑ "BYD models to appear in Bahrain". Global Times. 2010-12-08. ↑ "Peravia Motors presenta al mercado dominicano nueva marca de vehículos BYD" (in Spanish). El Nuevo Diario. 2010-02-11. ↑ "Dominican capital turns Chinese yellow, with taxis". DominicanToday.com. 2010-02-05. Archived from the original on 2012-03-22. ↑ "China's automaker BYD launches its brand in Ukraine". Xinhua. 2011-10-26. ↑ "Auto Centru Elita 5, BYD dealer in Chisinau, Moldova". Archived from the original on 2012-04-12. ↑ "BYD Opens U.S. Headquarters In Los Angeles". Edmunds. 25 October 2011. Retrieved 7 March 2013. ↑ Chang-Ran Kim (2011-01-11). "BYD sees mass U.S. entry in first quarter of 2012 with e6". Reuters.